My Association with Ms. Nandita Lad Deora goes to more than 20 years now. We worked at the Taj Mahal hotel, Mumbai as colleagues. She was a great professional, extremely passionate about her work but made things look really easy with her great sense of humour. She did not come from a hospitality background; she is a commerce graduate but learnt the ropes of the trade and the finer nuances with her dedication and hard work. She won everyone’s appreciation. The journey that began in 1996 has had interesting benchmarks all along. She started her career in the Housekeeping department but went on to become a General Manager at the Gordon House Hotel in 2007, the company that she joined in 2001 as the Executive Housekeeper. 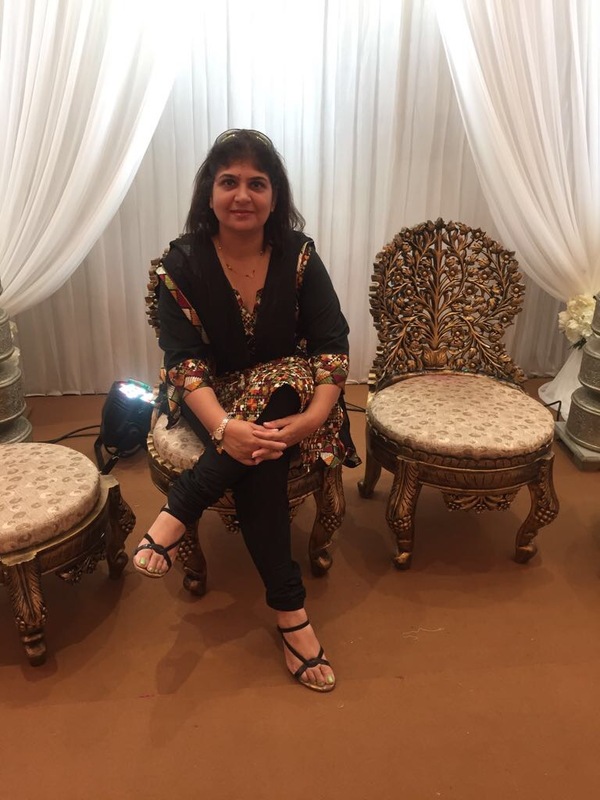 In 2016 she moved to head the Sales and Events for the Banqueting Division of K-Hospitality .K-hospitality currently leads high quality banqueting ,catering services and F&B . Copper Chimney , Irish House, Blue Sea Banquets and The Palace Halls are just to name a few under the K-hospitality umbrella . She has had an extremely enriching career pre- opening properties, handling design as well as positioning of various brands that she was associated with. Learning has been an integral part of her professional journey. She is a Certified Hospitality Administrator from the American Hotel and Lodging Association Educational Institute. 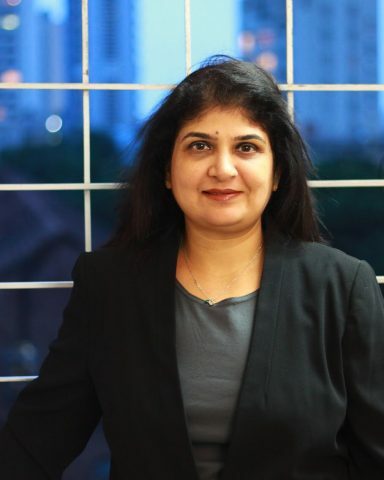 She also acquired “CHHE (Certified Hospitality Housekeeping Executive)”, a Certification course (exclusively for Executive Housekeepers) from AHLEI. She earned her certification for completion of ‘Introduction to Global Hospitality Management’ course offered by the prestigeous Cornell University, New York, USA in Feb 2015. IWH in conversation with the extremely talented Ms. Deora. Nandita: A Daddys Girl, Mommys best friend and brother’s pet Sister best defines me as a child. Born and raised in Mumbai in a simple Maharashtrian family set up,I grew up with practically no ambition but a deep desire to live in the moment and seek happiness in whatever I did. I completed my schooling from St.Columba School and then graduated in Commerce from Elphinstone College . Childhood meant fun filled and carefree days right until a point when it hit me that everyone around me had a plan when drafting one for myself wasn’t even on my To-do List . It was only then that I strove to hold on to anythimg that I got and decided to make it work for me. Once I had a job at hand .. the aim was to make a career out of it . Hosting was in my blood. I had pandered to my family remember likes and dislikes and catered to every visitor’s wish all my life. Whilst unconsciously I was absorbing these practices at home I consciously began my first course of training as a Graduate Trainee with The Taj Mahal Palace and Tower. This convinced me further that Hospitality begins at home . I feel deep and act with intensity but I am a peoples person at heart. Married to a Chef for over 13 years now, professional discussions are very much a part of dinner conversations and this has helped us get a trusted perspective to any issue. Understanding our professions has only helped us build an emotional connect as well . As parents of two children who deserve our time and attention ,we often find ourselves struggling with finding the right work-life balance. This is always at a Work in Progress stage. Nevertheless, for someone who couldn’t even boil an egg correctly, marrying a Chef has been one of the best decisions ! Nandita: Hospitality chose me. I just wanted A job ! It seemed fast paced and the glamour that it is always associated with ,made it easy to grab the opportunity. Making the decision wasn’t as much as a challenge anymore. In 1996, it wasn’t common for a girl to take up jobs at hotels. It was the era where the bank jobs were considered the best you could have . My parents were supportive and that’s all that mattered to me. 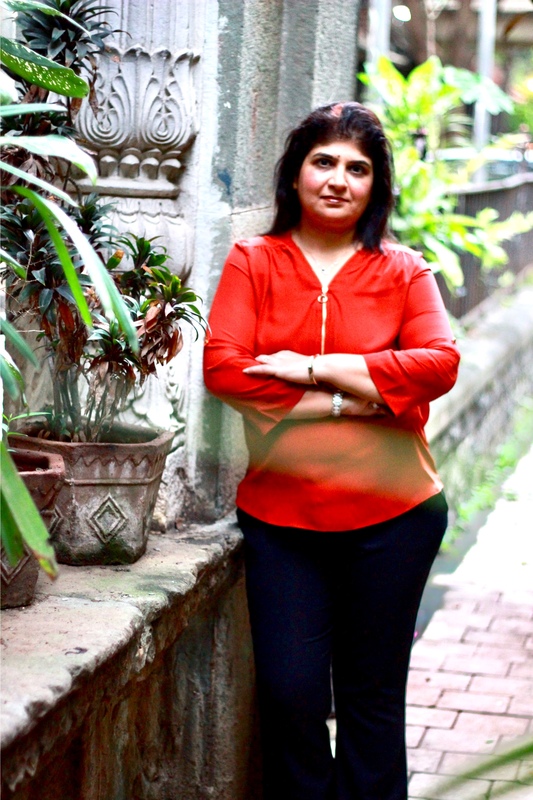 Nandita: Currently, I manage business at The Palace Halls ,Luxury Banquet venues located at Worli in Mumbai as the Sales Head for Events since its pre-opening phase in 2016. My role primarily involves leading a sales team to bring in business and manage premium events for clients .We manage premium weddings, corporate events , award functions and social gatherings .Meeting happy people at happy occasions and helping them create happy memories is something I totally love about this role. Nandita: I actually consider Hospitality as part of my Lifestyle. I think of it as selling a product that is “Experience”. Experience in itself being subjective and unique to the various elements in every circumstance, there is not a standard formula to excel in it. I think the better one is at problem solving the more rewarding Hospitality gets. My journey began as a job at The Taj Mahal Palace which is one of the most revered places in this sector in India. It created a strong foundation for my career in hospitality. You realize what you learn early on really goes a long way in shaping the rest of your career. The only way to enjoy this journey is to love what you are doing and do it well. Humility and professionalism are the key factors towards making “Hospitality” a success. Having learnt this with the Taj, I was quickly able to move ahead with confidence which led me to taking up larger responsibilities at every role. In this journey thus far, I have been able to learn from effective leaders and also lead teams who shared the same level of passion and enthusiasm. After 2 decades of being so passionately engaged at work ,there did come a time when I felt short on energies to manage what I was meant to do, professionally and on the home front. Its never easy to realize or accept the need to “recharge our batteries “ until even positive events begin to feel overwhelming if they take energy to enjoy ! Playing a 24×7 Mommy at home was the best reward I could have give myself then.The psychological space from the demands of life and the attachment to the other identities you worked so hard for didn’t really seem difficult to be kept aside.Afterall ,It didn’t mean shrinking responsibilities , it simply meant taking care of myself. I spent dedicated time ,almost a year , to decide which direction I wanted to go next .Analysing my preferences, strengths, values, experience, goals and what is more important now, I am back into the journey to keep moving forward. Pros – There is a considerable amount of glamour that people associate with the industry and and that can totally drive your motivation. The atmosphere at work is vibrant , lively and bright, no matter how busy it gets. The energies and synergies that surround you can keep you on a consistent high. There is enormous scope to diversifying into a variety roles which lead to a rapid horizontal expansion of experience and maturity in this career . No major cons …just long days. Extended working hours especially on weekends does get a little disturbing especially when you have a family. It is not uncommon to miss out on your family or personal time on occasions. Finding a work- life balance can be challenging especially if you are married to someone who works on a similar routine. Nandita: I come across role models each day. There is so much to learn from people you connect with directly or indirectly. What leaves an impression might even be a habit, a quality, a trait or simply the personality. Some lead intentionally while some manage to impress you with something that you think you can emulate. I have been very fortunate to have worked closely with some very strong personalities in the industry. Mrs. Neela Rege, Ms. Christine Saldanha, Ms. Rachna Narang , Mr. Sanjay Narang and Mr. Basav Mukherjee have in their own way helped craft my career. By way of my close association with them at different points in my career, I have been able to appreciate their qualities such as resilience, determination, integrity, selflessness, strength and strong work ethics . 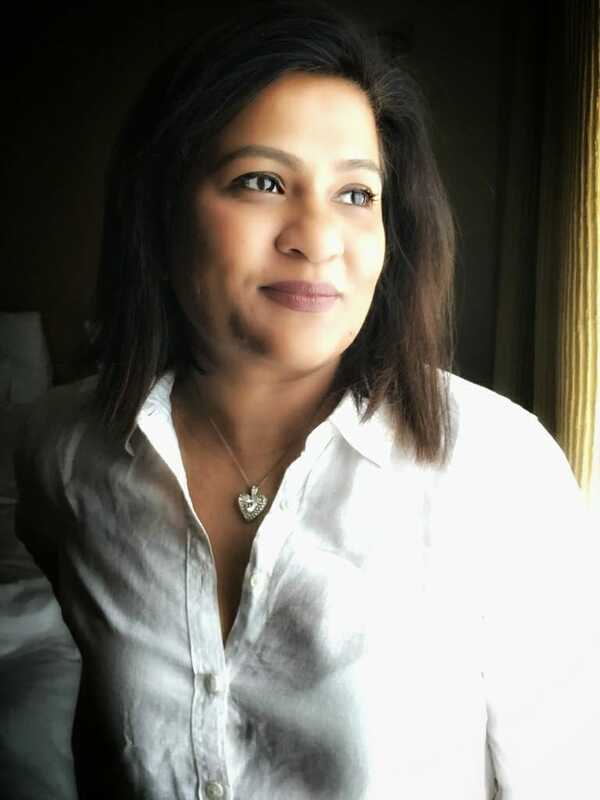 Nandita: The first one definitely was the setting up of the Gordon House hotel as an Executive Housekeeper in 2001. I was 26 with just 5 years of work experience hence this was by far my steepest learning curve. Initially I did feel like a fish out of water. It was different from my previous roles where one mostly a cog in an already “well oiled” system. This job required efforts to set systems in place and earn the confidence not only of the support team but also of the management that was expecting you to work wonders. The second was being appointed as the General Manager of the Gordon house Hotel in 2007 from being the Corporate Housekeeper of the Mars Group. This to me was an achievement. My journey with the Mars Group began as an Executive Housekeeper 2001. I then got involved in projects for setting up other boutique hotels, restaurants and bars. Being a part of the Gordon House team since its nascence helped me understand the property and operations better. Also thanks to my training as a housekeeper I was able to liase and stay connected with the different departments in the hotel. This was key in being successful in my role. 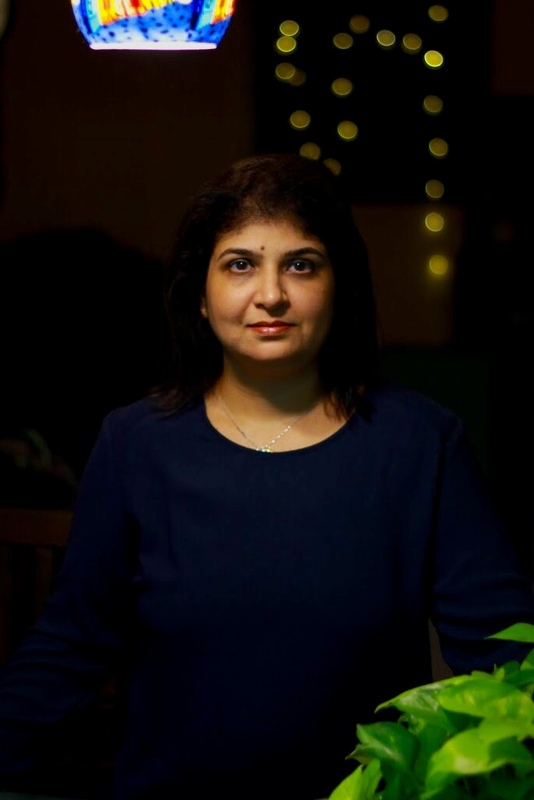 Nandita: Being tough without being difficult has been one of the biggest challenges I faced until I learnt the art of being assertive and not aggressive. This tactfulness has only come from experience. It has helped me appreciate different work styles and given me a sense of purpose. In general women think differently from men. There is equal amounts of EQ and IQ in decisions taken by them. This has helped me in situations where I am required to be sensitive yet practical, professional and avoid playing the “Agony Aunt”. Finding this balance is never easy. Nandita: There is always something on the other side that looks greener. That is human nature. It could be a quality you’ve admired but not been able to adapt to , a decision or a risk you took or simply an action that played out differently then what you had imagined . In retrospect, even though the graph looks fulfilling, there is an element of self doubt for the many decisions that I have made. Lessons are rich, they have brought set backs, progress, some overwhelming phases and some exhilarating moments. All of these have been the results of choices I have made along the way. I think I have been a Jack of all trades and as a corollary to this it does give me a feeling of being the Master of None! I tend to get attracted or distracted towards taking up the next thing especially when it feels challenging. I do feel that more often than not I should have used all my energies on one goal rather than diluting and investing my focus in multiple areas. Nandita: What better way to connecting to likeminded women in Hospitality. It is the much needed and a great beginning to what could be a fantastic platform to connect with and take inspiration from. Nandita: There is always scope in making a living doing a job you are super passionate about. The key to understanding your choices and changing your life is discovering what your core beliefs are. Whatever you truly believe in will always reflect in the life you live. Use all your love and light to keep the passion burning. There will always be a fine line between “If it is meant to be, it will happen” and “if you want it, go get it”. Trust your instinct, think deep and you will know whether the path is the right one for you. Take risks, embrace the failures and it is never too late to start again. Build relationships and feel the magic in every relationship. Use all your skills, technical knowhow and creativity to make the experience memorable. At the end of it all, Hospitality is about making people happy and it should begin with You. What an insightful conversation we had with this inspirational lady. We are overwhelmed with the energy that she has and how easily she juggles many roles. She is truly a role model for the hospitality professionals.